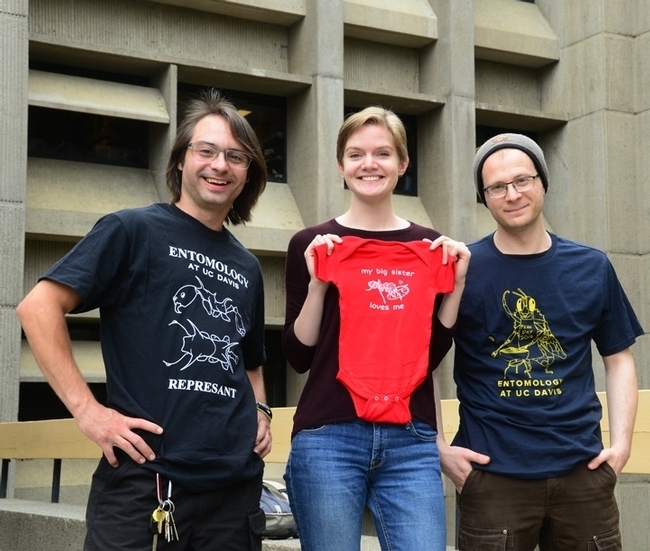 Congrats to the University of California Linnaean Games Team! They know their insects! The UC team, which swept the national championship last year, just won the regional competition Monday night at the Pacific Branch, Entomological Society of America (PBESA) meeting in San Diego. The Linnaean Games, launched in 1983, are lively, college-bowl style competitions on entomological facts, including questions on insects and entomologists. The UC team is comprised of UC Davis and UC Berkeley graduate students: captain Ralph Washington Jr., who received his bachelor of science degree at UC Davis and is now a graduate student at UC Berkeley; doctoral candidate Brendon Boudinot of the Phil Ward lab, UC Davis; and graduate student Zach Griebenow of the Phil Ward lab. At the PBESA meeting, UC Riverside took second, and Washington State University, third. The UC Team will now defend its championship at the ESA meeting , set Nov. 17-20 in St. Louis, Mo. Both the first and second-place teams from each of the ESA's six branches are eligible to compete. 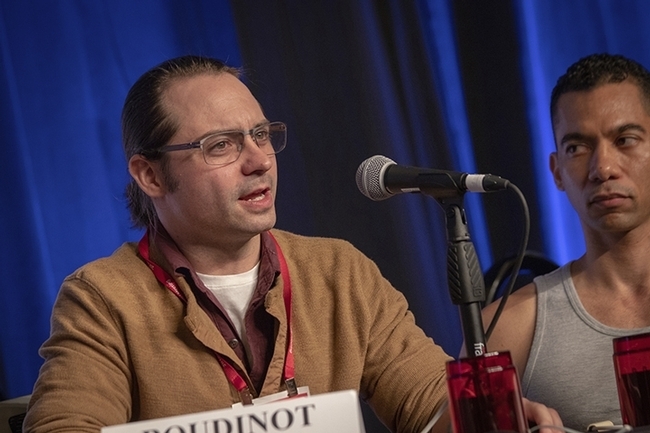 Both Boudinot and Washington have received major accolades at the ESA and PBESA meetings. 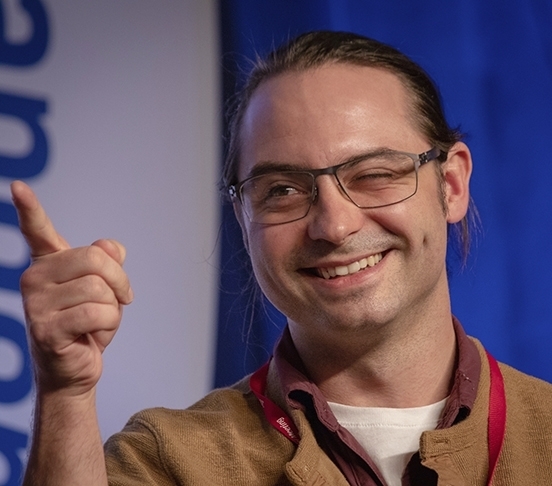 Boudinot, who researches ants, won the 2019 John Henry Comstock Award, the highest graduate student award presented by PBESA. 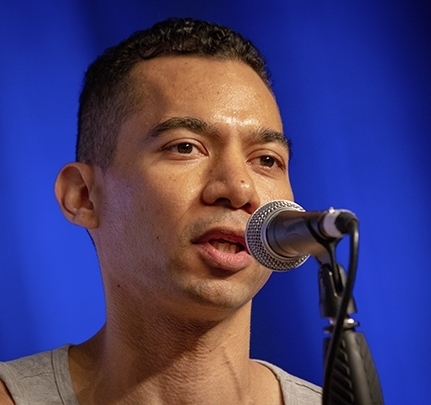 He delivered a presentation on his research at the San Diego meeting. He next will be honored as one of the six Comstock award winners (one from each ESA branch) at the national meeting. Washington, who at UC Davis studied with major professors Steve Nadler, professor and chair of the UC Davis Department of Entomology and Nematology, and assistant professor Brian Johnson, won PBESA's 2017 Student Leadership Award. PBESA encompasses 11 Western states, plus U.S. territories and parts of Canada and Mexico. 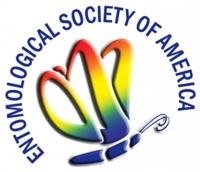 ESA, the world's largest entomological society, is comprised of 7000 members. Jessica Gillung won the prize for best student presentation at the recent 9th International Congress of Dipterology in Windhoek, Namibia. 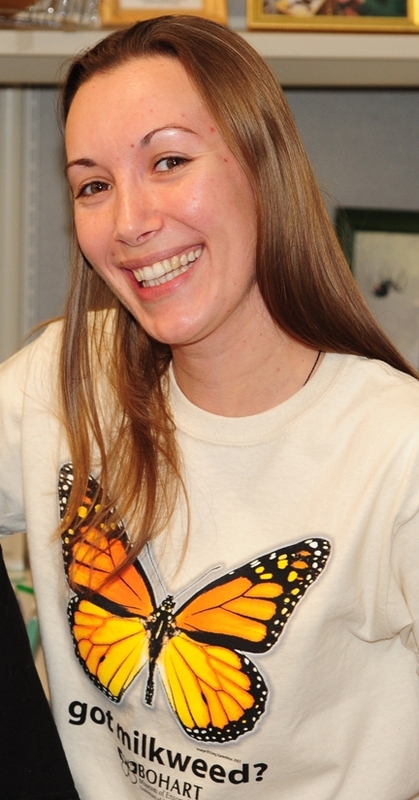 When UC Davis doctoral candidate Jessica Gillung, who studies the parasitoid flies commonly known as spider flies, presents her exit seminar on Friday, Dec. 14, it's bound to draw widespread interest. 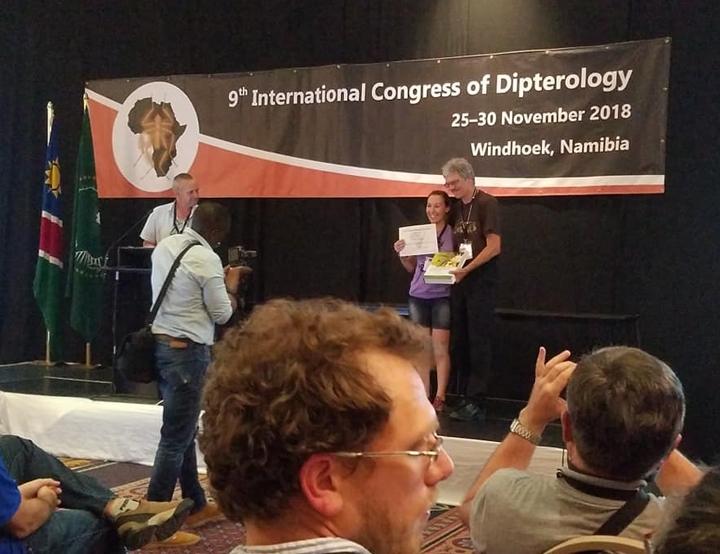 She just won the prize for best student presentation at the recent 9th International Congress of Dipterology in Windhoek, Namibia. 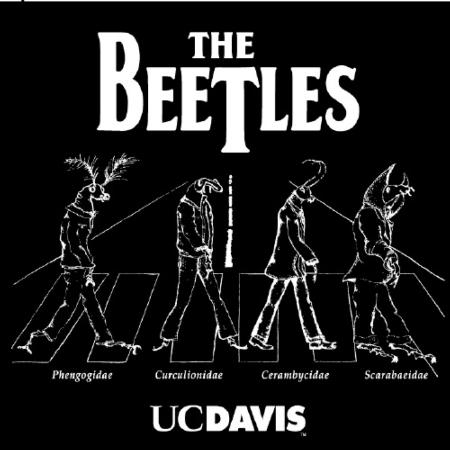 Gillung delivered her presentation on “Phylogenetic Relationships of Spider Flies (Acroceridae) – Discordance, Uncertainty and the Perils of Phylogenomics.” Acrocerid adults are floral visitors, and some are specialized pollinators, while the larvae are internal parasitoids of spiders. Approximately 350 delegates attended the conference; the scientists focus on the Diptera order, which includes houseflies, mosquitoes, and gnats. Gillung was among 40 students presenting their research. Gillung studies with major professor Lynn Kimsey, director of the Bohart Museum of Entomology and professor of entomology, UC Davis Department of Entomology and Nematology; mentor Shaun Winterton of the California Department of Food and Agriculture; and collaborator Phil Ward, UC Davis professor of entomology. 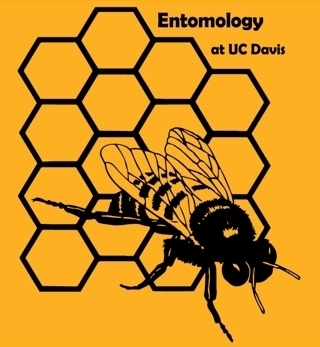 UC Davis doctoral students Charlotte Herbert Alberts and Socrates Letana, who both study with Kimsey, also presented their work; Alberts delivered an oral presentation on her research (she studies Asilidae (Assassin flies), and Letana displayed a poster on bot flies. Presenting the award to Gillung was Professor Thomas Pape of the Natural History Museum of Denmark and chair of the Council for the International Congresses of Dipterology, which organizes the conferences. The next Congress takes place in 2022 in California. Fast forward to her exit seminar, which she will deliver at 2 p.m., Friday, Dec. 14 in 122 Briggs Hall, located off Kleiber Hall Drive. The title: “Evolution of Fossil and Living Spider Flies (Diptera, Acroceridae): A Tale of Conflict and Uncertainty." 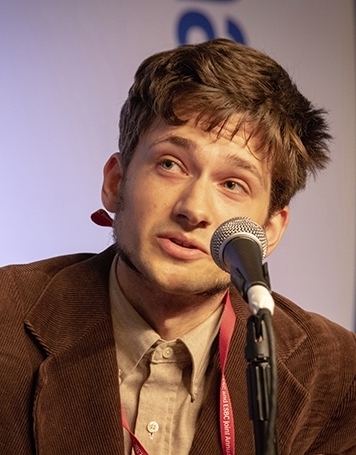 Gillung has accepted a postdoctoral position at Cornell University, Ithaca, beginning Jan. 2. She will be working with Bryan Danforth on Apoidea (stinging wasps and bees) phylogenomics, evolution and diversification. 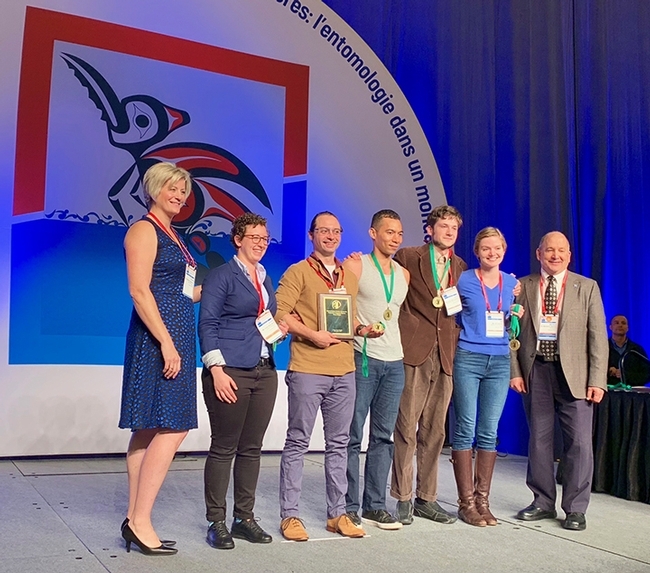 She recently was named the recipient of the prestigious 2018 Student Leadership Award, presented by the Pacific Branch, Entomological Society of America (PBESA), which represents 11 states, seven U.S. territories, and parts of Canada and Mexico. A native of Brazil, Jessica holds a bachelor's degree in biology from the Federal University of Paraná, Curitiba, Brazil and a master's degree in zoology from the University of São Paulo, Brazil. She speaks four languages fluently: Portuguese, Spanish, English and German. Images by three UC Davis-affiliated photographers will be among those displayed at the international Insect Salon photography competition at the Entomological Society of America's meeting, Nov. 11-14 in Vancouver, B.C. The insect photographers: Alexander Nguyen, who submitted an image of a syprhid fly--a wasp mimic, Ceriana tridens, ovipositing in the fissures of a tree; Allan Jones, a photo of a female leafcutter bee, Megachile fidelis, carrying a leaf petal back to her nest; and Kathy Keatley Garvey, an image of a pollen-drenched honey bee, Apis mellifera, nectaring on mustard. The images were among 122 accepted for the Insect Salon from a total of 333 images submitted by 84 photographers from 22 countries (a 37 percent acceptance rate). Nguyen, who received his bachelor of science degree in entomology from UC Davis, is a biologist for the Solano County Department of Agriculture. 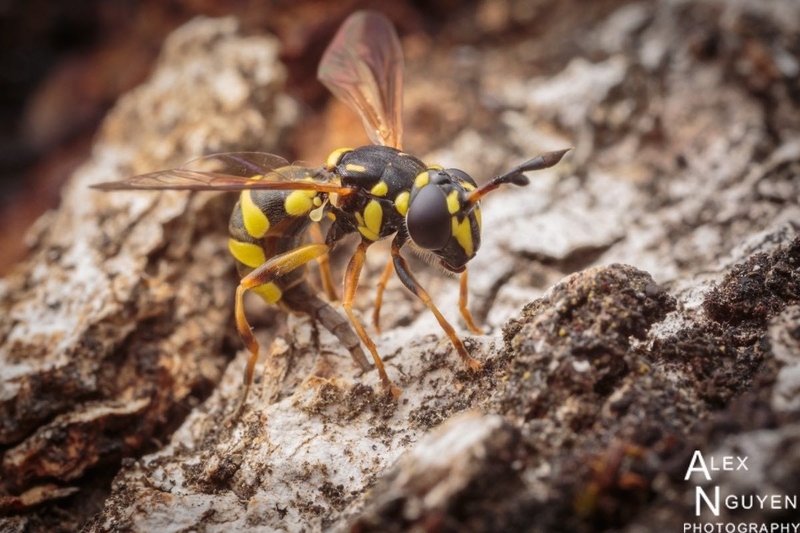 He captured the image of the wasp mimic at Spanish Flat on the west bank of Lake Berryessa, Napa County. "After larvae hatch they will feed on sap from the tree," said Nguyen, who maintains a photography website at https://alexandernguyen.smugmug.com. Senior insect biosystematist Martin Hauser of the California Department of Food and Agriculture identified the syrphid. Jones, who holds bachelor's degrees in English and German and a master's degree in English from UC Davis, is a California Department of Agriculture (CDFA) retiree who now resides in Davis. He captured his winning image of the leafcutter bee in the Häagen-Dazs Honey Bee Haven, a half-acre bee garden, operated by the UC Davis Department of Entomology and Nematology and located on Bee Biology Road, west of the central campus. 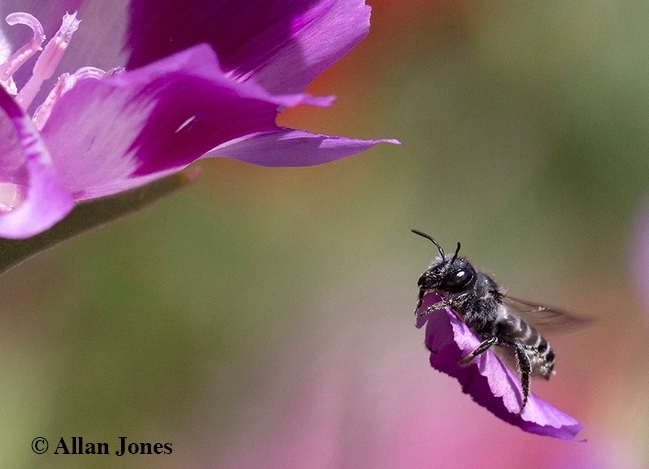 It shows the bee carrying a Clarkia petal back to her nest. Garvey, who holds degrees in communications and journalism from Washington State University, Pullman, is a communications specialist with the Department of Entomology and Nematology. 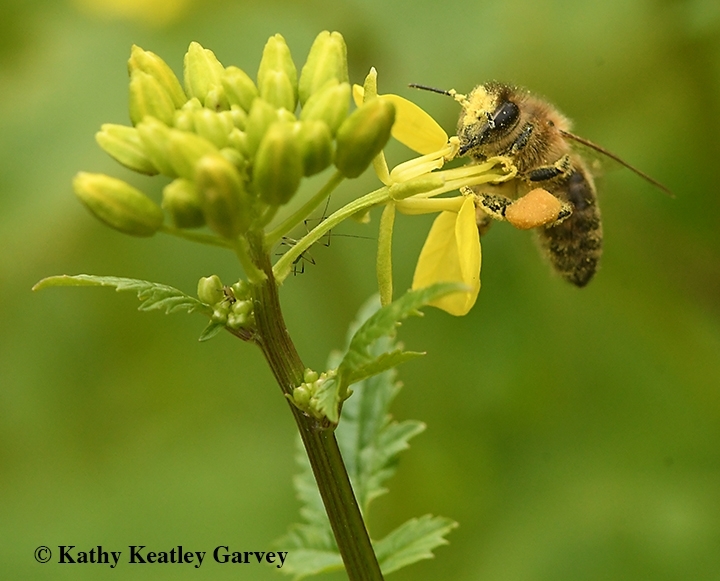 She captured her winning image of the pollen-packing honey bee in a Vacaville (Calif.) mustard patch. 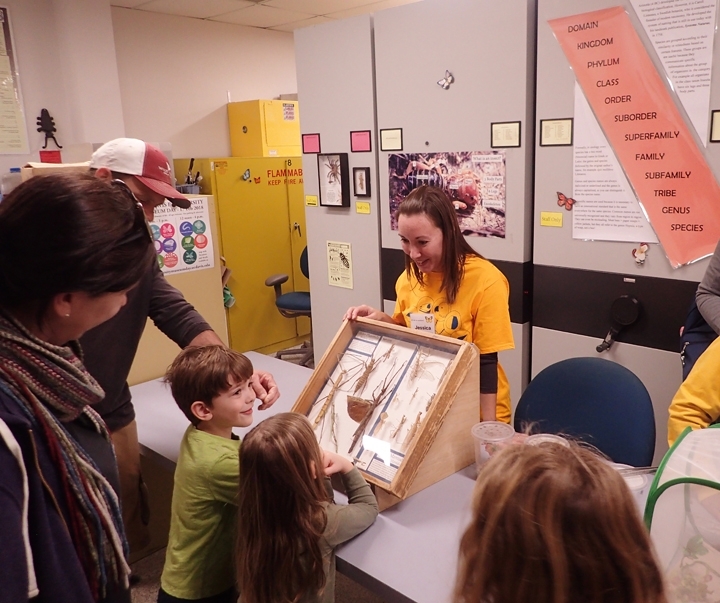 In her leisure time, Garvey writes a Bug Squad blog, about insects and entomologists, on the UC Agriculture and Natural Resources website, a blog she has written every night, Monday through Friday, for the past 10 years. Medal, Best of Show: Soon Seng Leong of Malaysia, for his image, "Share Together 084." Medal, Best of ESA Members: Thomas Myers of Lexington, Ky., for his "Saddleback Caterpillars"
Medal, Best by Peoria Camera Club: Carl Close of Hopewell, Ill., "Hornworm Caterpillar"
Medal, Best Storytelling: Say Boon Foo of Malyasia, for "Ant 3"
Medal, Most Unusual, Jenni Horsnell of Australia for "Wolf Spider with Young"
The winning entries will be displayed both on the Peoria Camera Club website and on screens at the annual meeting of ESA, a global organization of some 7000 members that serves the professional and scientific needs of entomologists and individuals in related disciplines. This year's theme is "Sharing Insect Science Globally." All photographers are invited to submit up to four entries in the annual Insect Salon competition, Virbickis said. This is a Photographic Society of America-sanctioned nature competition.